Economic Governance or Economic Government? 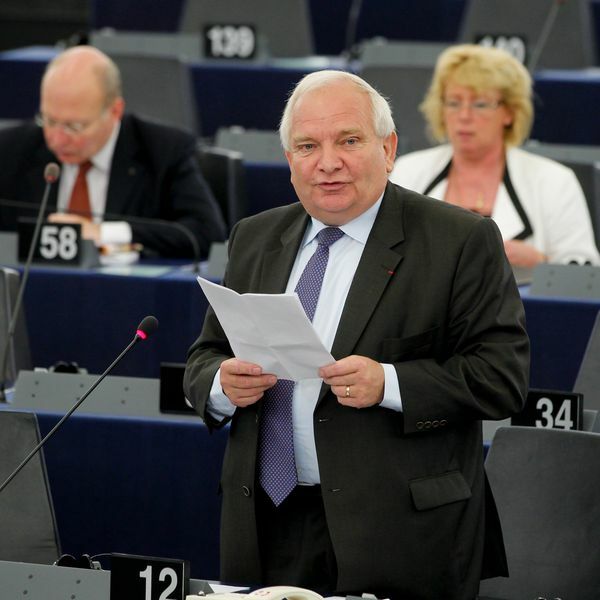 "Europe is in danger" with these words of Polish Minister of Finance Jan-Vincent Rostowski started the debate in the European Parliament on Wednesday morning (September 14) dedicated to the debt crisis. This was only the beginning of many strong words and passions expressed during the two-hour debate, caused by the unabating pressure of the markets because of the constantly growing fears whether time has come for Greece to default, about the condition of the French banks (because of Greece), Germany's behaviour, Italy's (who wonders whether to ask China for help). And not only that there was unanimity regarding the extent of anxiety during the debate, but what was also interesting was the amazing synchronous in speaking about federalism in the EU as the only means left for survival. "Last week I was at an airport and I met a colleague of mine, he worked with me on the first years of economic Polish transformation in the Ministry of Finance. Right now he's a president of a huge bank. We were talking about the crisis in the eurozone and he said to me - 'you know, after all these shocks, political shocks, economic shocks, it is very rare indeed that during the next 10 years one can avoid a war'. A war ladies and gentlemen! ", Jacek Rostowski concluded, affording himself a very untypical for his position statement that he was considering securing his children with a green card for the US. Although not saying anything new in essence, the European Commission President's address contained not less anxiety and tough language. 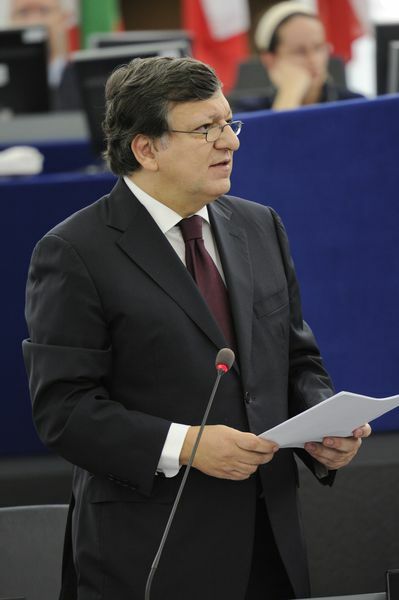 Jose Manuel Barroso again emphasised that it was time everything agreed so far to be immediately approved and implemented. "We are confronted with the most serious challenge for a generation", he said. Mr Barroso addressed with the same tough tone both the countries that needed help and those that were expected to help them. "All euro area member states have made commitments and are making efforts to put in order their public finances and to implement the economic reforms that are a pre-condition for growth. All of these member states must now demonstrate in a convincing way that they are serious. It is not enough to make plans. It is action that counts. And those Euro area member states that are providing the assistance so crucial for the survival and the stability of the euro, must show even more clearly that they are determined to deliver support to countries that implement their programmes, as they have agreed". 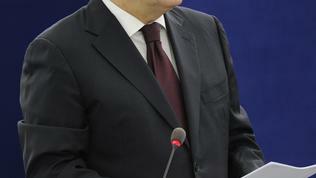 Barroso again recalled that Europe needed economic growth and jobs creation. The EU' chief executive was first to mention the word 'federalism' during the debate and was definitely not the last to do so: "The only right way to stop the negative cycle and to strengthen the euro is to deepen integration, namely within the euro area, based on the Community method. This is the way to go. It is also the only way for the Euro area to really play the role that investors and global partners expect it to play. What we need now is a new, unifying impulse – 'un nouveau moment fédérateur', let's not be afraid of the word, moment fédérateur is indispensable". It is obvious that by stressing on the community method Barroso indirectly said he disapproved the idea launched by Chancellor Angela Merkel and French President Nicolas Sarkozy for the creation of a government of the eurozone, consisting of its member states and headed by Herman Van Rompuy. 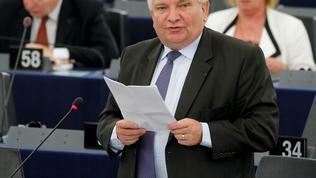 The leader of the biggest fraction in the European Parliament - the European People's Party - Joseph Daul was also not looking for euphemisms in order to explain the seriousness of the situation and what the right path was: "Europe must go for a big bang, a federation, the United States of Europe, or quite simply, integration. [...] By making an economic government reality, a government run by all the Eurozone countries, Europe would kill two birds with one stone: it would show its capacity to act in the long term, and it would strengthen unity among its citizens, who would finally be subject to the same rights and duties", Mr Daul added. 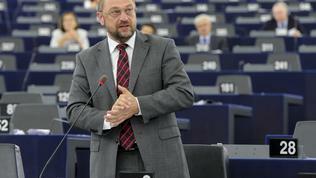 The leader of the socialists, Martin Schulz, shared the same opinion and also explained that the time had come. "The time of either-or has come. Either each for himself, or each against the other, or each altogether. The middle way - half yes, half no - that's what's ruling the euro. Therefore we need a common set of action with common institutions. 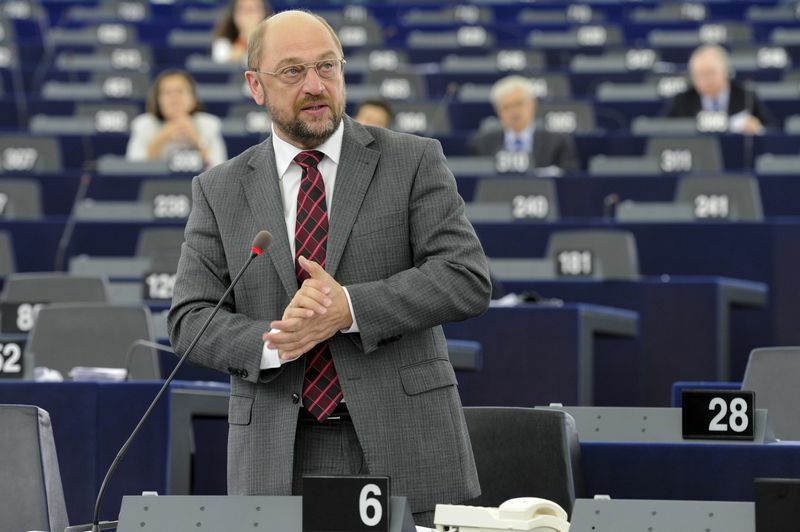 If we have economic government, the European Parliament is the place. And I have no fear of a new war", he concluded trying to console the polish minister of finance. 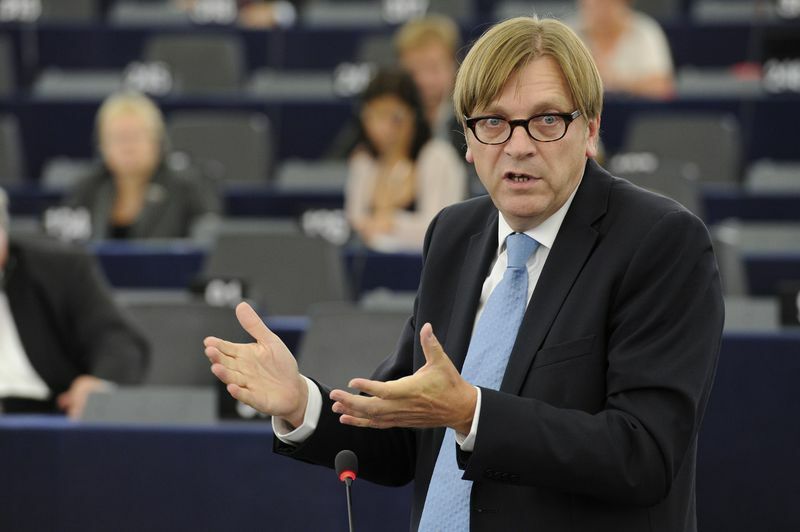 Liberals' leader Guy Verhofstadt, who is a long-time supporter of more integration, said though that he supported a common European government but not in the form proposed by France and Germany. 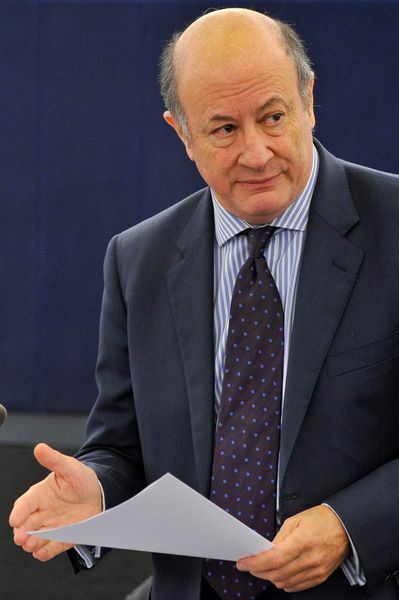 "What Merkel and Sarkozy propose is not a solution. We need a eurobond market. A bond market now! 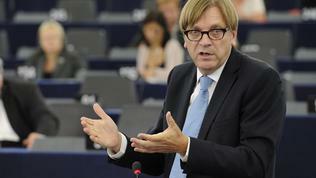 ", Mr Verhofstadt added in an even more passionate style than usual. He went even farther by adding that Europe needed special legislation to boost jobs creation, similar to the plan President Barack Obama recently proposed to "get the Americans back to work". The EU has been working for a long time on such a document which, however, has no legislative powers - until 2009 this role was played by the Lisbon Strategy for Growth and Jobs and since 2010 the EU has been working on the Europe 2020 strategy, aimed at smarter growth and "green" jobs. 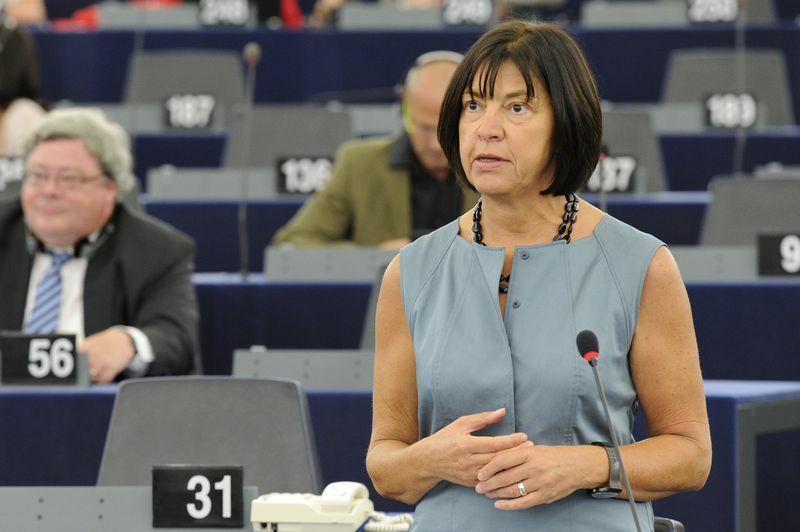 The Greens Co-President, Rebecca Harms, criticised, on her part, the Commission of President Barroso for being incapable to tackle the challenges. In response Olli Rehn, EU Commissioner on monetary affairs said that in fact the Commission had done what was necessary but the Council (the member states) for half a year now were delaying the adoption of the approved decisions. 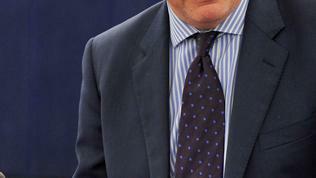 Regarding the eurozone members, they have not yet adopted the decisions from the summit of July 21st, Mr Rehn added. He also touched the issue of eurobonds: "Eurobonds have to be accompanied with substantially enforced fiscal surveillance and economic coordination. 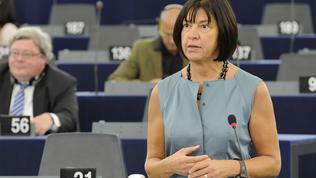 This will affect the fiscal sovereignty of the member states", the Commissioner added. The debt crisis in the eurozone is already threatening to go out of control, making it no longer just a European problem. This is the reason for the extraordinary decision of the American Treasury Secretary, Tim Geithner, to go back to Europe only a few days after taking part in a G7 meeting of the ministers of finance in Marseilles. Mr Geithner not just returned to Europe but took part in an internal informal meeting of the finance ministers of the euro area and the EU (Ecofin) in the Polish town of Wroclaw last Friday and Saturday.